A companion: explores time and space with the Doctor, gets into trouble with the Doctor, fights enemies with the Doctor . . . And - more often than not - has to save his life. Here are four fantastic new adventures with the Doctor, starring Rose, Sarah-Jane, Clara and Bill. Publishing on International Women's Day in March 2018, it will also be the perfect way to prepare for Jodie Whittaker's first ever female Doctor. 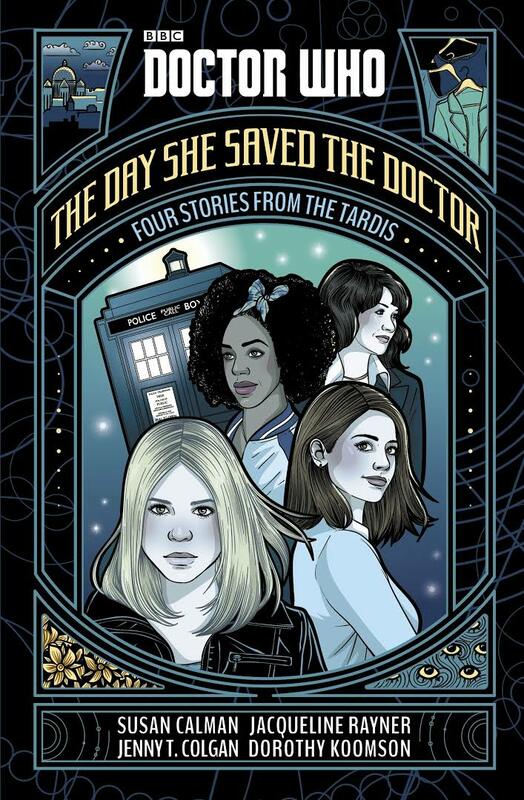 Written by Jenny Colgan, Jacqueline Rayner, Dorothy Koomson and Susan Calman, these stories are a celebration of the Doctor's fantastic female friends, for fans of all ages.